The Railway Protection Force (RPF)on Thursdayarrested one Bikas Das at Tinsukia in connection with the murder cases of Radha Kumari, who was an Assam Agricultural University (AAU) student, whose body was found in a toilet of Rangiya Express in Simaluguri Railway Station and a woman whose body was found in a train toilet at Mariani Railway Stationon Tuesday. 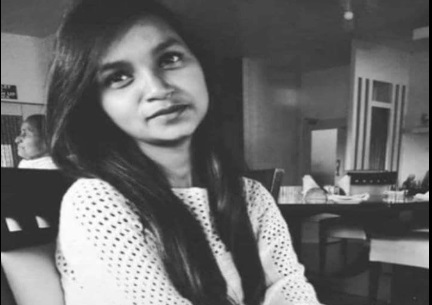 The sensational murder of Radha Kumari and another woman, identified as Lalima Devi, whose body was found in a toilet of the Dibrugarh-Delhi 15909 Avadh Assam Express at Mariani Railway Station in Jorhat district on Wednesday, took a new turn after the arrest of Bikas Das. Also read:A serial killer on prowl in Assam trains? According to reports, Bikas Das is the main accused in both the murder cases. Another accused, identified as Bipin Pandey, has been absconding. Police and RPF officials are interrogating Bikas Das in Tinsukia DRM office. According to information, the mobile phone, train ticket and some jewelleries of the victim, Radha Kumari, have been recovered from Bikas. “Bikas and Bipin were involved in both the murder cases,” said sources. According to police, they also raped the victim before murder. “Bikas Das has confessed to his involvement in both the murder cases. RPF has also seized a new gamosafrom Bikas Das,” RPF sources stated. According to RPF, Bikas was planning for the 3rd murder on Thursday. “We are interrogating Bikas and found that he is a serial killer and was involved in both the crimes,” said an RPF official.